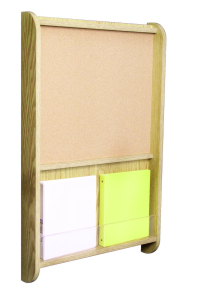 Cork board for posting notices and announcements with 2 pockets for standard binders. Ideal for any office wall. Dimensions: 25 1/2" Wide x 39 1/2" High x 3 7/8" Deep.